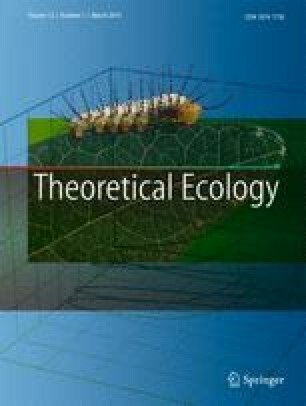 A fundamental challenge in ecology is to identify the processes which explain how species come to occupy diverse communities. There is uncertainty about whether community composition arises through deterministic processes, whereby trait differences between species make them more or less adapted to certain environmental conditions. We tested the capacity for deterministic processes to explain the long-term dynamics of phytoplankton community structure in Lake Müggelsee—a shallow and eutrophic lake in Berlin, Germany using a trait-based approach. We developed a null model representing random processes alone by generating a time series of random trait distributions derived from the observed long-term data. We determined the extent to which deterministic processes lead to nonrandom patterns in phytoplankton communities by comparing the resulting null-trait distributions with the observed trait distributions in the long-term data. We found that phytoplankton communities fell along a gradient from random to nonrandom trait distributions, suggesting that deterministic processes alone do not fully describe the community structure. Nonrandom patterns were observed in communities with high species richness and during late spring as well as early winter. But neither species richness nor seasonality explained nonrandom patterns consistently for different metrics and traits given the high relevance of random trait distribution patterns. Thus, deterministic and stochastic processes may be needed to fully explain the structure of phytoplankton communities under changing environmental conditions. The online version of this article ( https://doi.org/10.1007/s12080-019-0424-5) contains supplementary material, which is available to authorized users. We thank all staff of the Leibniz-Institute of Freshwater Ecology and Inland Fisheries who have been involved in the collection and compilation of the long-term data set of Lake Müggelsee. We are especially grateful to Helgard Täuscher and Katrin Preuss for processing the phytoplankton data and their commitment to phytoplankton taxonomy and to Thomas Hintze for his commitment to the Müggelsee automatic research station. We thank Ulrike Scharfenberger, Silke R. Schmidt, Alena S. Gsell, Dennis Özkundakci, and Tom Shatwell for advice in methodology and helpful discussion during the development of this study. Comments by one anonymous reviewer improved the manuscript substantially. Basic funding for sampling and sample processing was provided by the IGB long-term ecological research program. This work received aditional support from the MANTEL (H2020-MSCA-ITN-2016) and the LimnoScenES projects within the Belmont Forum–BiodivERsA International Joint Call on “Scenarios of Biodiversity and Ecosystem Services”).